Sarah and I had our first sleepover *attempt* when we were 4 years old. We met in preschool and we both consider each other our “first best friend.” 7 years later we met again in middle school, and somehow realized that the little memory we’d both had of a failed sleepover with a person we couldn’t name was about US! We became close friends again and have been ever since. Fast forward a few years— Sarah was living in Washington with her daughter Allie and serving in the Navy. Michael and Sarah were paired together on watch one night, and the rest is history. Michael brought Sarah & her daughter Allie BOTH flowers on their first date. He showed Sarah that he would be a wonderful partner to raise her daughter + more babies with, and they fell in love. 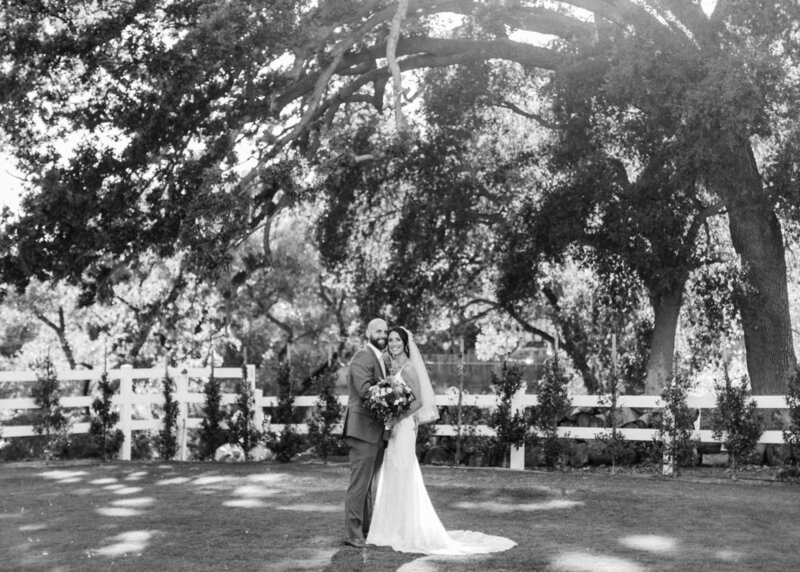 One baby and a year later, they were all set to get married at the stunning Brookview Ranch in Agoura Hills. Shooting Sarah’s wedding was so incredibly emotional. I was so happy for my first best friend that she found her forever-man, and so honored to be able to spend so much time with her (I spend WAY more time with my friends on their wedding days when I shoot their photos vs. when I am a guest) and to help capture memories of one of the best days of her & Michael’s life. The rest of the day was spent celebrating Sarah & Michael— complete with a Magic Mike dance by Michael before removing Sarah’s garter, and Sarah’s daughter Allie confusingly walking up to her during said dance and having to be picked up & removed by her dad. So. Dang. Funny. Sarah is one of my best friends—20 years later—and I am always so honored to take photos of her little family. Capturing wedding photos for her felt like more of a gift than a “job,” and I’m so grateful to have her & her cute lil’ family in my life.